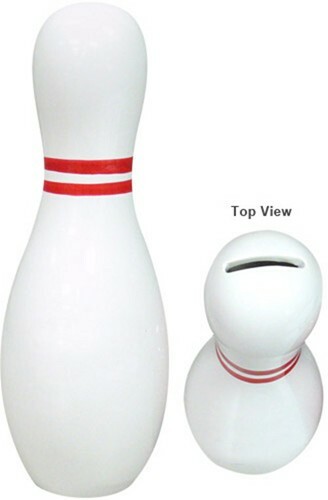 Get your bowling fanatic family member this Bowling Pin Bank today! Nice appearance, does not look cheap. Due to the time it takes to produce the Ceramic Bowling Pin Bank ball it will ship in immediately. We cannot ship this ball outside the United States.